Discussion in 'iPhone and iPad Games' started by TouchArcade Bot, Feb 12, 2015. 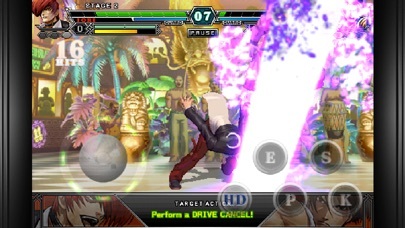 Famous paid app "THE KING OF FIGHTERS-i 2012" returns as a free app in order to celebrate the 20th Anniversary of the Series!! 32 playable characters!! Fight against the strongest players from all over via Wi-Fi Network!! 6 different game modes available in SINGLE MODE to enjoy the game for hours and hours even alone! Simple Commands allow to easily perform any type of combo! ■VS BATTLES FROM ALL OVER VIA WI-FI A"RANK VERSUS" Mode, in which your player ranking changes depending on your number of victories and losses, as well as a “FRIEND VERSUS” Mode, where your rank is not reflected, are available. Challenge the strongest players from all over! ■NEW CHARACTERS, NEW TEAMS In addition to the characters from KOF-i, the 4 new “ART OF FIGHTING”, “PSYCHO SOLDIER”, “KIM”, and “IKARI” teams (12 new characters), join the cast of "KOF-i”!! 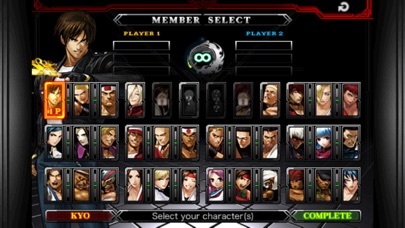 You can now create your favorite team from this formidable roster of 32 fighters! 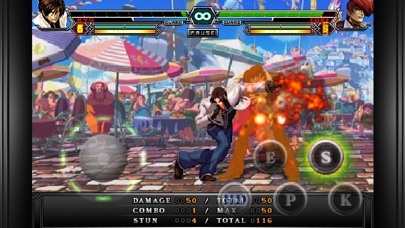 ■A SINGLE-PLAYER MODE RICH IN CONTENT 6 game modes are available for thousands of hours of enjoyment even when playing alone: “SINGLE BATTLE” for 1-on-1 fights, “TEAM BATTLE” for classic KOF 3-on-3 gameplay, “ENDLESS” Mode to defeat as many opponents as possible with one character, "CHALLENGE" Mode to clear trials by fulfilling requirements, the newly introduced "TIME ATTACK" Mode to compete for the best clear times by winning 10 matches, and “TRAINING” Mode to get accustomed to the Virtual Pad-based controls and practice your combos. 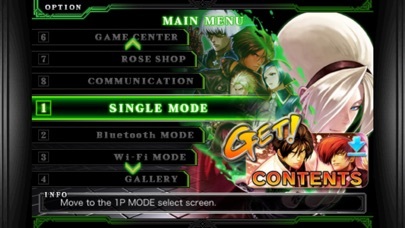 ■SIMPLE COMMANDS The Virtual Pad recreates perfectly reproduces KOF’s smooth controls. 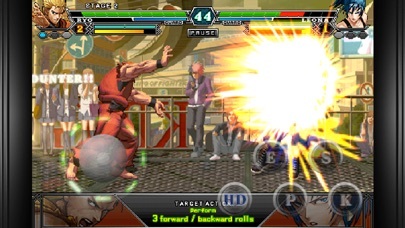 Even novice players in fighting games will be able to release various Special Moves, Super Special Moves, NEOMAX Super Special Moves, and other complex moves in one touch. With the Simple Commands, you can easily perform many of the game's fancy combos!! *Please refer to "TUTORIAL" Mode for an explanation of these commands. ■ADDITION OF TONS OF NEW TRADING CARDS, ILLUSTRATIONS, AND OTHER EXTRA CONTENT Plenty of new Trading Cards (that can be acquired by using points earned during gameplay) along with new Illustrations (which can be viewed at any time by fulfilling certain conditions) have been added to this latest release! Moreover, "KOF-i 2012" includes rough sketches and illustrations that can only be seen here, which fans cannot afford to miss! Not full screen yet, I'll wait for Vita version. Absolutely in love!!!! I bought the first one featuring K' and been secretly hoping they'd make 94' and 2012 free!! But hey! We got 2012 FREEEEEE!!!! N I love!!!! Sprites are beautiful controls are fluid not bad at all!!! Except if you want Iori with flames your gonna hafta fork over 100 credits! Which is not ok! I spent over 1 hr n 30 doing stupid survey after stupid survey!!! Until finally!!! 20 mins ago!!! !